When "This Is Us" returns for season three, faithful fans will finally get a glimpse of a long lost member of the family. The next season of "This Is Us" is just weeks away, and the episodes won't be all that's new. There's also a new face joining the Pearson family — well, a new-old face. When the flashback plot gives viewers a closer look at patriarch Jack's past, they'll also get a closer look at his brother, Nicky, played by actor Michael Angarano. "Will & Grace" fans will recognize Angarano as a close relative of another prime-time Jack — he's played Elliot, the son of Jack McFarland (Sean Hayes), since the recently revived sitcom's original run. Fans might also recognize the 30-year-old actor from roles in "Almost Famous," "The Knick" and the Showtime comedy-drama series "I'm Dying Up Here. But when the he turns up on "This Is Us," don't expect Angarano to bring the laughs along with him. Like so many plots on the NBC hit, his is sure to be a tearjerker. 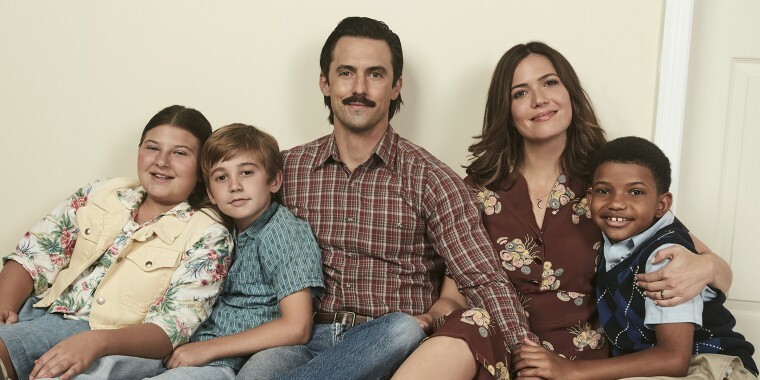 As Papa Pearson star Milo Ventimiglia revealed months ago, season three of "This Is Us" will take viewers back to Jack's days in Vietnam — where he served alongside Nicky, who never made it home from the war. "We’re definitely going to see Jack in the Vietnam era," Ventimiglia told People. "At the end of the Super Bowl episode when people were ultimately confronted with how he passed away, there was a trailer to show Jack in a helicopter over Vietnam in uniform. We’re going to explore that side of Jack’s 20s and what brought him into the man that we all knew." And when season two came to a close, a flash-forward showed Jack's son, Kevin (Justin Hartley), traveling to Vietnam to learn more about those days. "It's not what anyone is expecting," Hartley told Entertainment Weekly of the upcoming story line. He also called it "super heartbreaking."